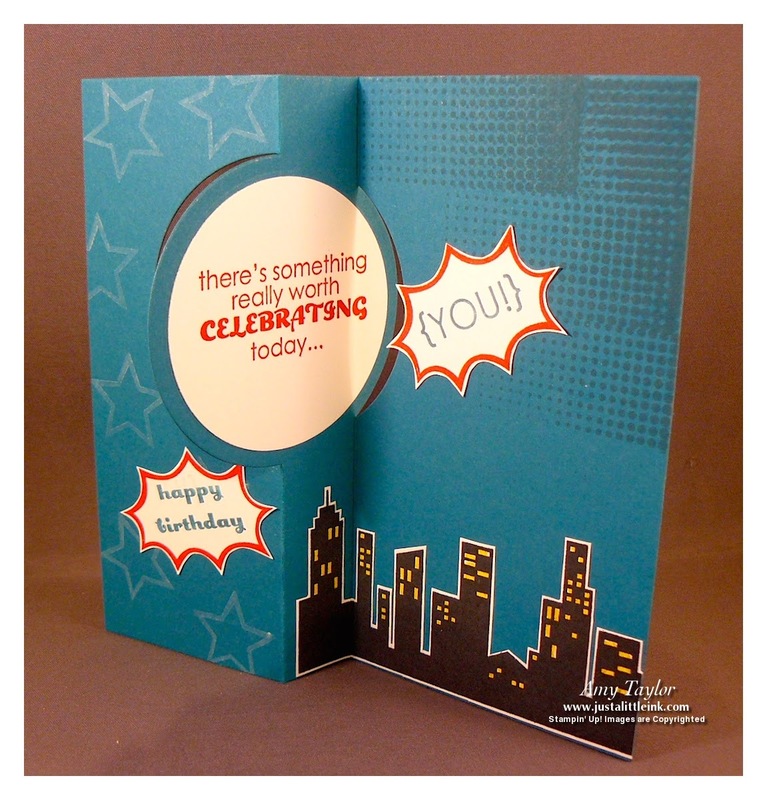 When the Photopolymer stamp set, Calling All Heros was announced by Stampin' Up! I knew I wanted it. There is a certain nephew of mine who loves super-heros and especially Captain America. The basic layout was cased from another demonstrator, but I don't remember who. 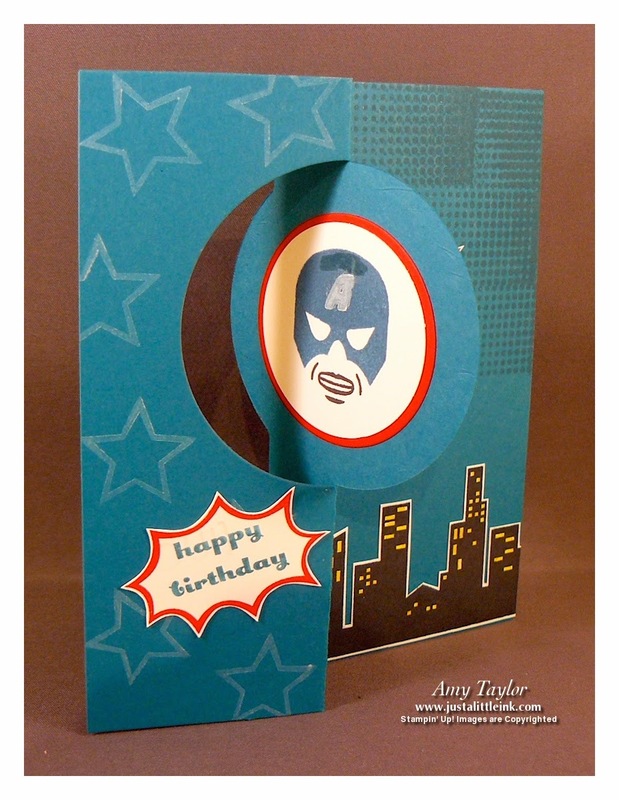 It uses the Circle Card Thinlits Die for the Sizzix Big-Shot, that is awesome for quick interactive cards. The "happy birthday" and inside greeting both come from the stamp set Remembering Your Birthday. 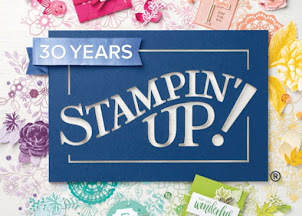 The "happy birthday" was stamped using a Stampin' Write Marker and the Stamp-a-ma-jig. I'm pretty sure that my nephew is going to LOVE this card!